Moreover, it is an excellent chance for the young talents to prove worth and secure a place of theirs in the 2017 Champions Trophy. All they need is a fantastic gameplay to come into the spotlight. The 24-year-old Kannaur Lokesh (KL) Rahul scored a ton on his one-day debut. Rahul made a century and too unbeaten. What’s more, a debutant batsman can wish for? He completed his hundred with a six and enabled young India to win with nine wickets and 45 balls remaining. By doing it, he became the first ever Indian to make a century on debut. It is the next century after he made against Austria in the second Test match in January 2015. Moreover, he played a major role for his team, Royal Challengers Bangalore in IPL 2016. RCB reached the finals. Now, he feels that he can become a prominent player in all formats of cricket. “With a good time in the past, I was confident of scoring some big runs. I tested my skills, and it fired up,” Rahul told TheReporterTimes. “Opportunities mean everything; a few good games increases the confidence and belief that I can do much better in any format. The same happened to me in the last ODI match. The same faith will help further in the series. The momentum which developed in the IPL is proving beneficial,” he added. KL Rahul was one of the three debutants in the team led by MS Dhoni. On the other hand, Zimbabwe must have felt disappointed as having the experienced players in the team couldn’t make them win the game. The Chevrons got defeated by the inexperienced counterparts. Rahul did his work with the bat while Jasprit Bumrah did the same with the bowling as he took four wickets in his second-ever ODI. Following this, India is all set to step into the ground for its second ODI against the Zimbabweans in Harare. If they win the series, it will be the first ODI series victory with Dhoni after November 2014. In the meantime, Zimbabwe should have a close and deep inspection of their playing squad and performance to beat the opponents. 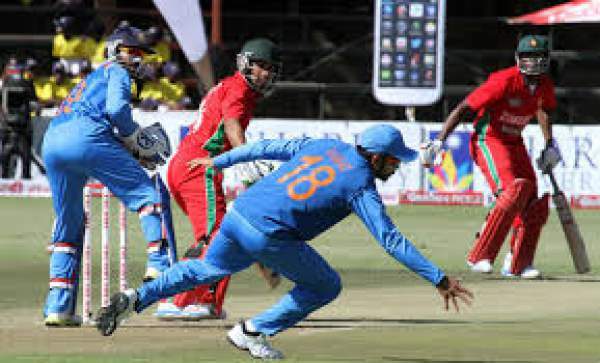 Zimbabwe has been very poor in the World Cup 2016 and World T20 2016 and losing to this temporary team of India would be the latest development in the disappointment era for the Chevrons. The interim captain Graeme Cremer will definitely need a much better performance to play a reputable game on Monday. Check back the match result, highlights, full scorecard, and much more. Stay tuned to The Reporter Times for latest cricket news and updates.